The bracelet looks exactly as pictured. It is soft to the skin when I wore it. There is no sharp edges. It looks like multiple braided chain that is nicely put together. It’s stylish. I tried to roll it back and forth on my arm to see if it will pull any fine hair against my skin and it didn’t. I’m giving it 4 stars because you can’t just close the clasp any way you want it. The bracelet needs to be put flat against your skin so it will not look twisted due to its not so round appearance. The intricate metalwork seen here is Italian Byzantine design at its best. Finished in 18K yellow gold, the traditional woven design crescendos slightly at the center for a breathtaking performance. When I saw the exquisite result, one name, and one name only came to mind. Aria, which is Italian for ‘air’ and of course a striking solo musical performance. 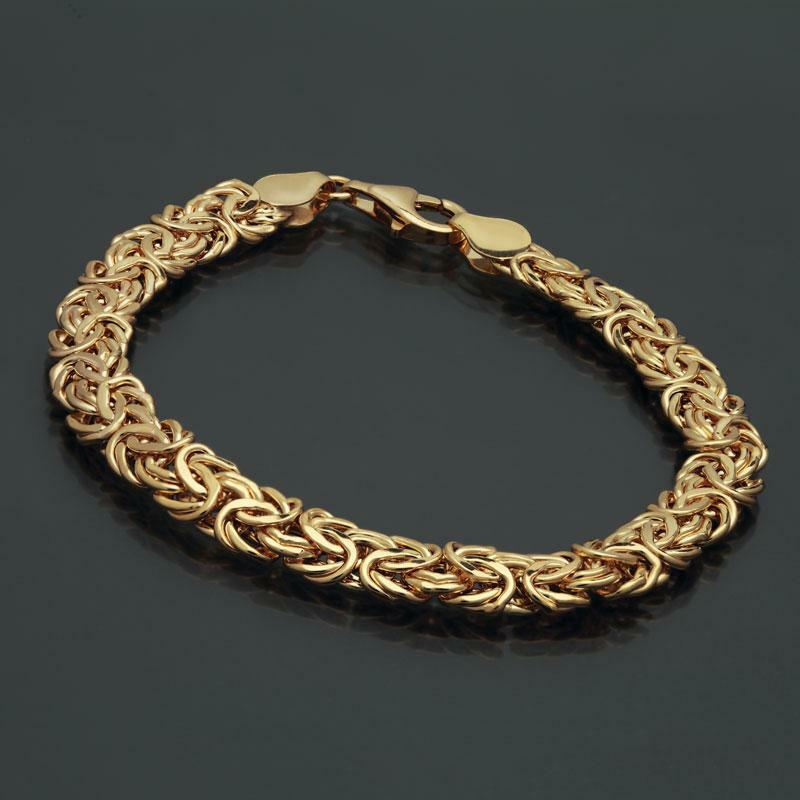 Our Aria Bracelet has mastered its role beautifully. Not only will it draw rave reviews, it won’t weigh heavy on your wallet.